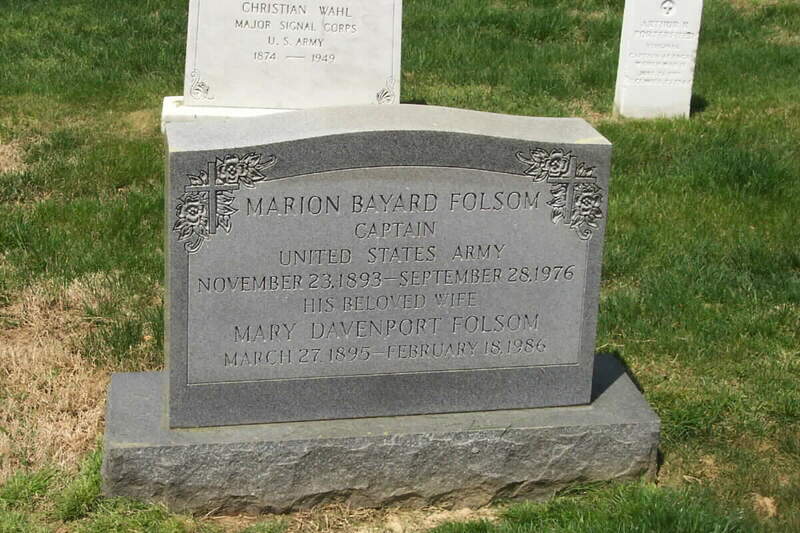 Marion Folsom was born in McRae, Georgia, in 1893. He was a graduate of the University of Georgia and received a master's degree from the Harvard Graduate School of Business Administration. In 1914 he joined the Eastman Kodak Company. After serving with the Army in World War I, he returned to Kodak where he developed one of the Nation's first private industry social security plans. 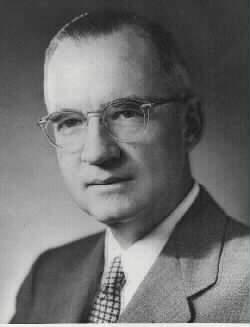 In 1934 he was appointed by President Roosevelt as a member of the Advisory Council on Economic Security, which laid the foundation for the present Social Security program. For the next twenty-one years Mr. Folsom commuted between his job as treasurer for Eastman Kodak, located in Rochester, NY, and various Washington posts. 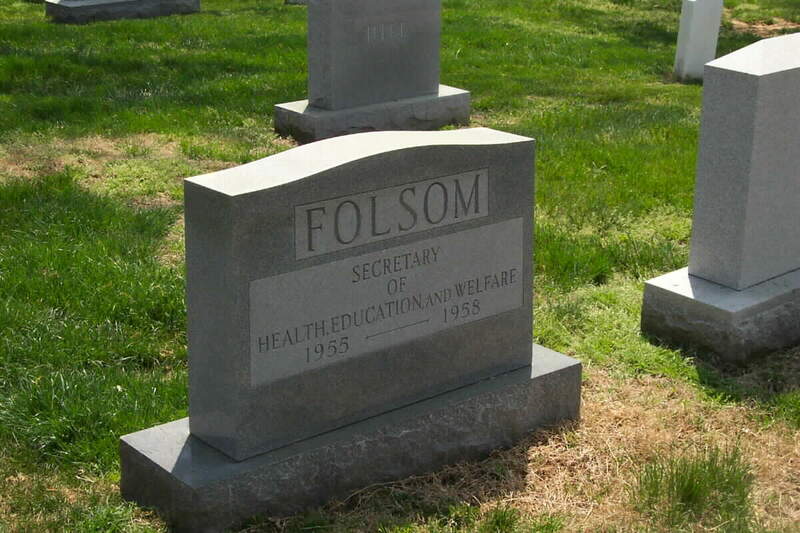 Mr. Folsom resigned from Kodak in 1953 to become Under Secretary of the Treasury. 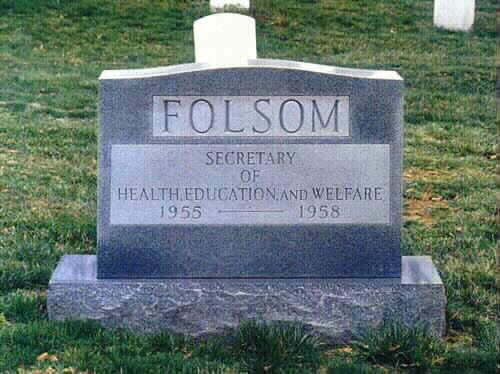 Subsequently, President Eisenhower appointed him Secretary of Health, Education, and Welfare, a position he held from 1955 to 1958. 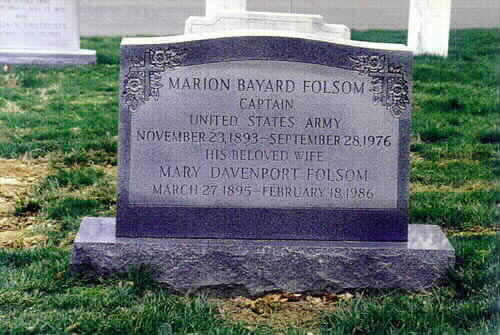 Following his death in 1976, he was buried in Arlington National Cemetery (Section 11, Grave 68-2).